Don't forget that your clients appreciate your holiday greetings and uplifting remarks. Send them a well crafted email blast for upcoming holidays, reminders and such. Leave them a Call To Action and see your results increase over time...show them the love. 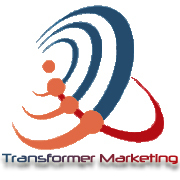 Give Transformer Marketing a call today at 909-547-6212 ext. 5915 to get started on your social media marketing plan! Content provided by Transformer Marketing. Transformer Marketing ™ is the most powerful integrated marketing system in the world, and the only company that has unlocked the massive social networking revenue potential for YOUR business! Retain your clients, and create a fertile strategy for a steady stream of referrals. Content Creation and Deployment – YOUR online presence fully managed by professionals with 35+ years of insurance, marketing, and technology experience. Professionally produced content for your Web site, Blog, Facebook, LinkedIn, Twitter – generated and managed for you. Referrals, Testimonials, Leads, Revenue – Demonstrable sales opportunities through social media promotions: Integrated Survey and Promotional Platforms plus Email Marketing to empower your social media. Coaching, Accounting, Reporting – Scheduled reviews of program metrics, feedback, and coaching to ‘transform’ your business – with as much or as little technology infrastructure as you require. And the best thing about the program? We do it all for you! A completely Integrated Online Marketing Solution … Actively managed for you. Transformer Marketing is nationwide and international! Who likes telemarketers? Not us, not you and not your business. Telemarketing is not the way to increase your leads, rather it’s a quick way to get your business flagged. And don’t get us started on the door to door salesman who always seem to come when you have your hands full. Marketing your brand is now at your fingertips and less expensive and more practical than ever before. You don’t need a huge marketing budget to get your products out there, you just need a marketing strategy. Go ahead and ask all of your friends to “like” your business page on Facebook. Take to Twitter and post your latest products, Connect with groups that would benefit from your business on LinkedIn. Make your business known with a couple of keystrokes and some creativity. Just look at the fabulous Beyonce. Her latest album went strictly via social media and iTunes. In the first three days (yes, I said 3 days) her album sold over 820,000 copies and had become the biggest selling album in iTunes history. Beyonce marketed her album via Instagram and labeled it, “Surprise,” to her 8 million Instagram followers and 53 million Facebook fans. You can do that too. Take your products and market them on your social media platforms. You will get results (maybe not quite like Queen B), you will need to be patient and trust.